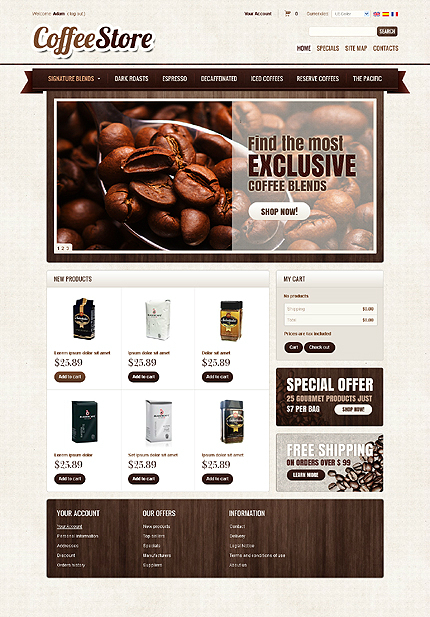 Short description: This stylish theme in two-colored style is ideal for those who know a thing about coffee and premium design. 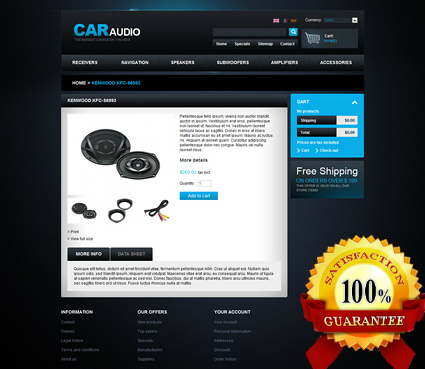 Good solution that will uplift the sales and interest of your customers. 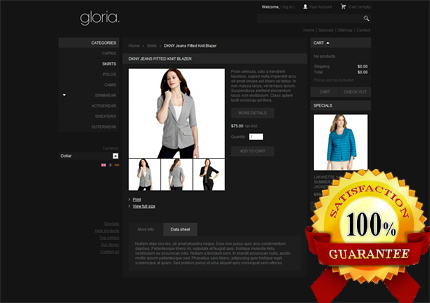 Short description: This black layout is ideal for jeans, clothing and apparel web stores. 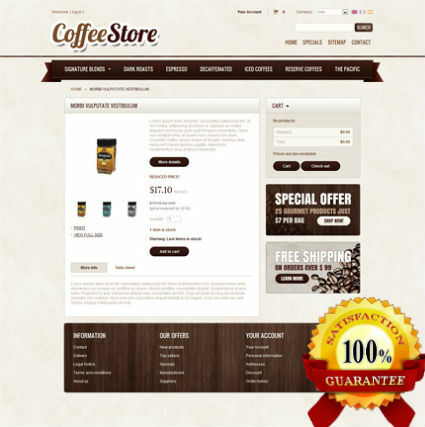 Due to its back-office interface it is easy to manage your online shop. 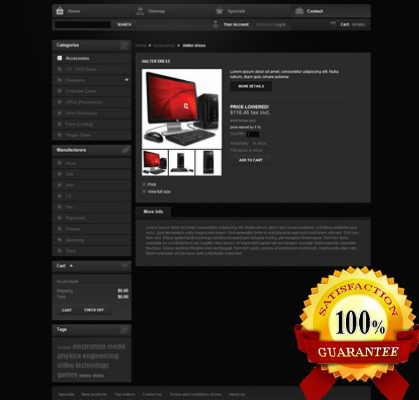 Short description: If you want to introduce your products underlying their quality and best condition, this great online store with dark theme and effective design is made right for you! 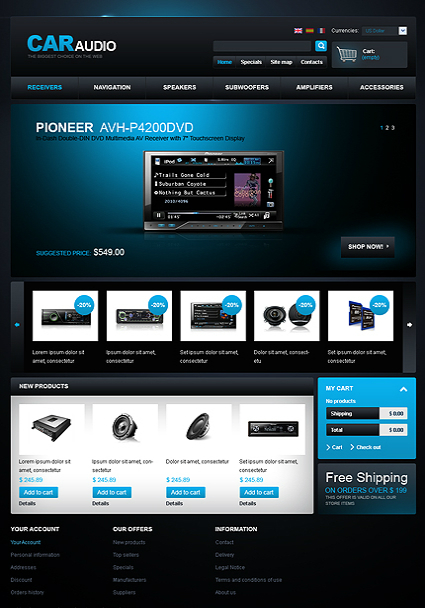 Short Description:This design is ideal for starting an online computer store. 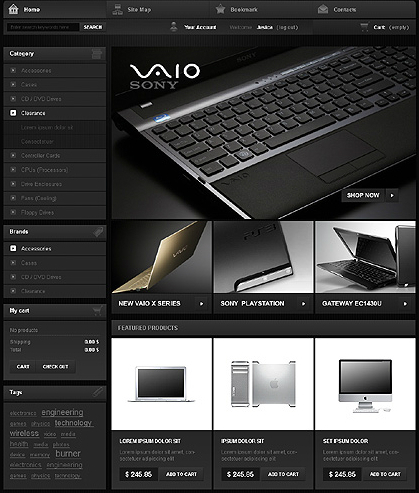 The dark and a bit mysterious background layout was developed to effectively present IT devices, computers, laptops, and similar products. 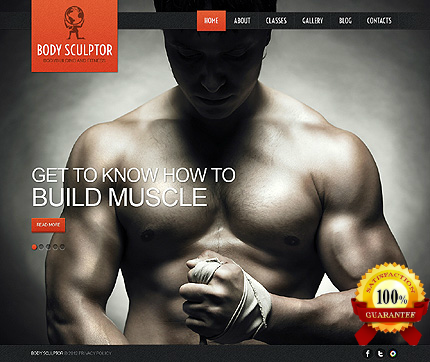 Back office is totally functional and very easy to manage your business on the online word.